See also original Free SSL Plan plan location on their website! 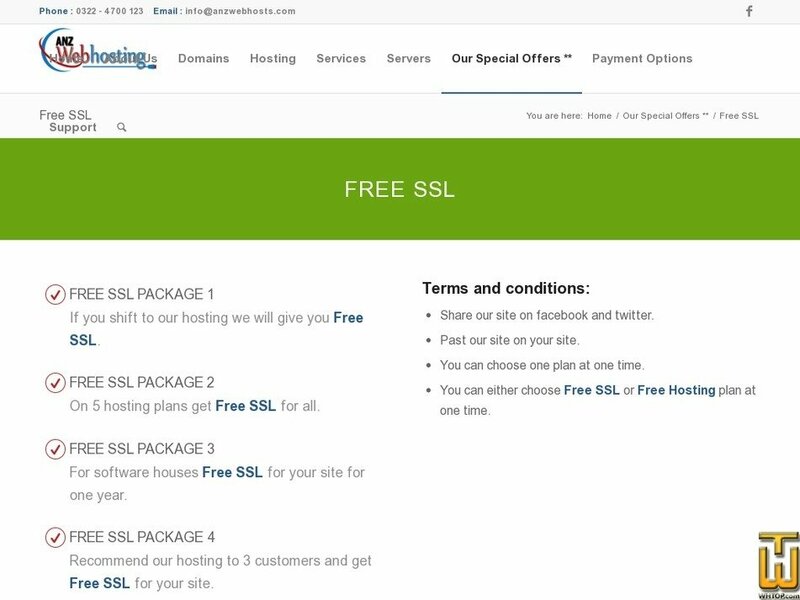 If you shift to our hosting we will give you Free SSL. On 5 hosting plans get Free SSL for all. For software houses Free SSL for your site for one year. Recommend our hosting to 3 customers and get Free SSL for your site. Price: $ 9.99/yr. VAT 16% exc. WinsHosting is only the hub who deals in SSL Certificates in Pakistan.